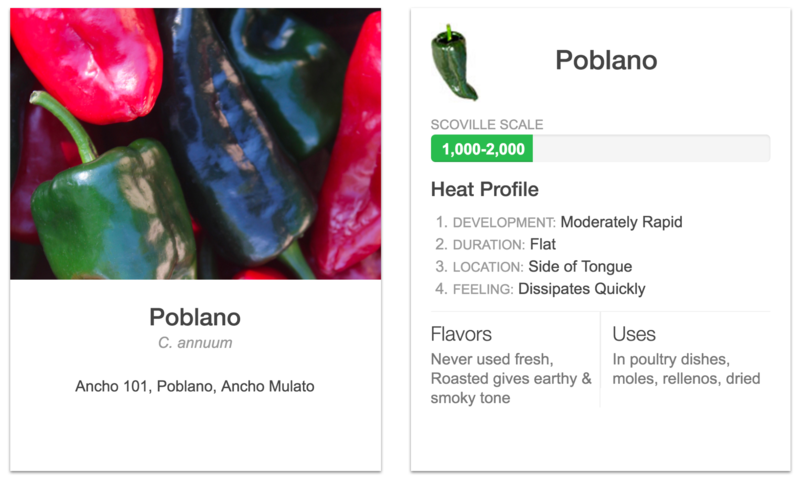 You know you’ve eaten a spicy pepper when you get that tongue-tingling sensation, but can you taste the difference between a hot habanero and a spicy Serrano? 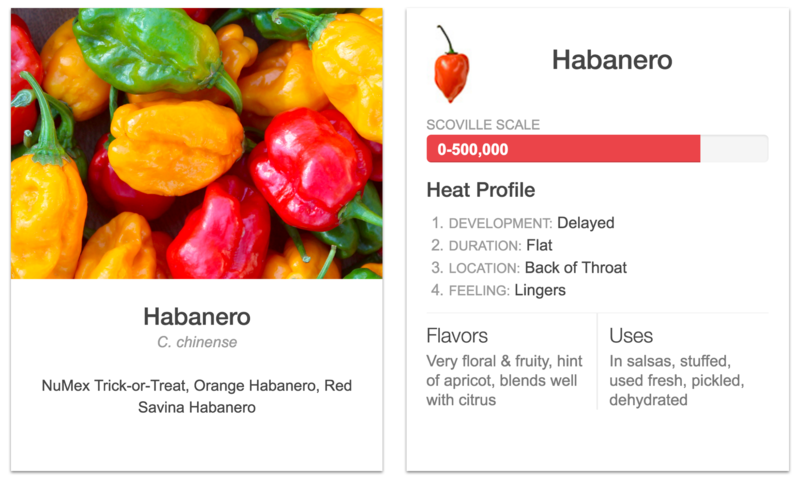 Paul Bosland, a horticulturist and the director of the Chili Pepper Institute, takes us through a taste test to determine the “heat profile” of chili peppers, and also discusses the science behind chili pepper spice. Plus, Science Friday video producer Luke Groskin tells us how how capsaicin—the molecule in chili peppers that binds to your heat sensors— sets off the spicy chemical reaction in your body. The following images are courtesy of New Mexico State University. Paul Bosland is Director of the Chile Pepper Institute and a Regents Professor of Horticulture at New Mexico State University in Las Cruces, New Mexico. IRA FLATOW: This is Science Friday. I’m Ira Flatow. Do you know a chili head? These are people who can’t get enough spice in their life. They might keep a little packet of chili flakes in their bag so they can dip into it in a pinch. And they’re the ones smiling and sweating after a fiery meal. So what makes someone a spice addict and another person go running for the milk? Does that milk trick really work to extinguish the flames? Can you build up a tolerance for a spice? All questions that we’re going to ask and answer with our video producer Luke Groskin, who is here to tell us all about a cascade of chemicals set off by those tiny peppers is the subject of our latest video. Welcome to Science Friday. IRA FLATOW: So when you bite a spicy pepper in your mouth, you feel like a burning hot sensation. Right? Is that the same type of reaction that happens when you drink a hot cup of coffee? Is it the same thing going on in there? LUKE GROSKIN: Well, yeah. For the most part, it is. Both the heat and the active ingredient in a chili pepper, which is called capsaicin– it’s a molecule– they both act on the exact same receptor, which is called a TRPV1 receptor. Most people call it TRPV1. And what happens is when you drink a hot cup of coffee or the capsaicin binds to that receptor, the receptor opens up, ions flood in, those ions trigger the cell to become receptive. You have a signal that goes through the nervous pathway all the way to your brain that says, this is hot. This is hot. And it’s the exact same sensation. The difference here is that when you drink a really hot cup of coffee, you can actually destroy cells. You can burn yourself. But with capsaicin, it’s not going to actually damage anything, unless you have it in really high concentrations, at which point you can damage a nerve. IRA FLATOW: You know, whenever you go up to people and you’re eating hot food, and you see people just chowing down on the chili peppers. And you say oh, you’ve built up a tolerance to it over the years. Right? Is that true? LUKE GROSKIN: Well, a couple things are more likely. If you’ve been eating really hot chili peppers your entire life, you may have possibly damaged your nerves or you may be just inherently not as sensitive to capsaicin. So those are possibilities. But what’s probably more likely is that you’re just a little bit more masochistic than other people. And you’ve kind of learned to enjoy the heat more. You know, it does release endorphins in your brain. So maybe you’re a little addicted to the endorphin release in your brain. It’s very– you’re not going to suddenly have receptors that are less sensitive to capsaicin all of a sudden because you’ve just been exposing. That’s not really how the receptors work. IRA FLATOW: The video that you just finished and put up on our website in it you put our staff through a chili test. LUKE GROSKIN: Yes. Yes I did. IRA FLATOW: And you put a trick in there. LUKE GROSKIN: I sure did. So I gave people the choice of tasting the spicy sauce or the less spicy sauce. It was actually the same sauce. But beyond getting some really great reactions from the staff, which you can see in the video– some people make some really interesting expressions when they have something really spicy– everybody said they experienced roughly the same amount of heat. They all felt it in the same place in their mouth at roughly the same time. What they differed in was how they experienced it– whether they enjoyed it more. And the people that went for the more spicy sauce– those are the ones that clearly were enjoying the heat a lot more. And that’s kind of backed up with research that’s been done– that showed that when people that are really spice heads or not spice heads have the exact same chili, they both perceive the same amount of heat. It’s just the people that like the chili– the heat– they say they like it more. IRA FLATOW: After you’ve had something hot, people always tell you to drink milk, not water. IRA FLATOW: Does that really work? LUKE GROSKIN: Yeah. Well, so with ice cream, you get a cooling factor because it’s ice cream. But inside of milk is two different things– you got fat and you got casein. And capsaicin– the molecule that causes the heat– has a long non-polar tail on it. And when you have something like fat that you’re eating, it can bind to the non-polar tail, or if you have casein– which is really into binding to hydrocarbons and non-polar molecules– then it will grab onto that as well. So ice cream or milk definitely works. IRA FLATOW: Finally, the last question to you is sometimes that the sensation can continue after you swallow. Can the peppers and the capsaicin hurt your intestinal lining? LUKE GROSKIN: Well, it can hurt you the person, but you’d need really high concentrations in order to actually hurt your intestinal lining. What’s going on is that you’ve probably got a lot of inflammation– that can cause a little bit of damage. But really, the capsaicin itself is not going to damage you, unless you have a ghost pepper or something like that. IRA FLATOW: I’m not getting one of those. LUKE GROSKIN: No. Neither am I.
IRA FLATOW: Not for your movie. LUKE GROSKIN: Neither am I.
IRA FLATOW: Nobody’s movie. Thank you very much. Luke Groskin, our Science Friday video producer. And you can watch that video where we subjected SciFri office members to spice on our website. It’s up there at sciencefriday.org/peppers– sciencefriday.com/peppers. When your mouth is burning and your eyes are tearing up, it can be hard to appreciate the subtleties of a spicy pepper. 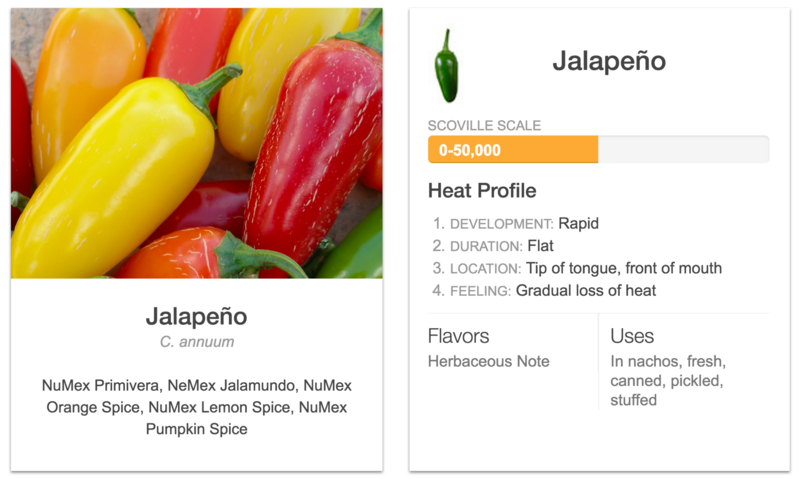 How can the tingle of a jalapeno differ from the searing burn of a habanero? 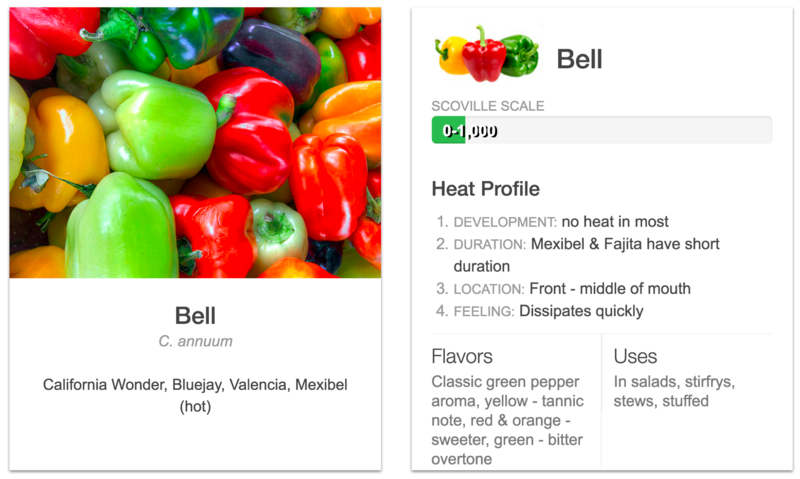 Well, hundreds of varieties of peppers are out there with their own heat profile. 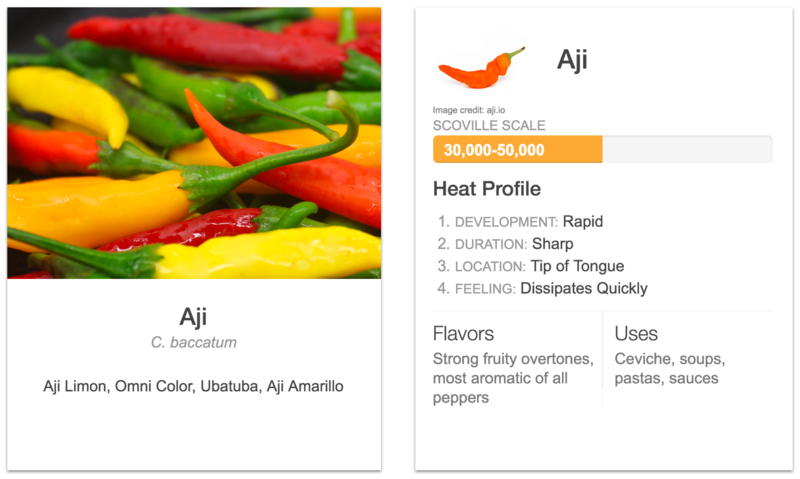 And my next guest says that the heat profile of a chili pepper is not unlike the complex flavors of wine. You know how complex that can be. And he’s here to take us through a taste test and tell us how these different chili peppers get their heat. 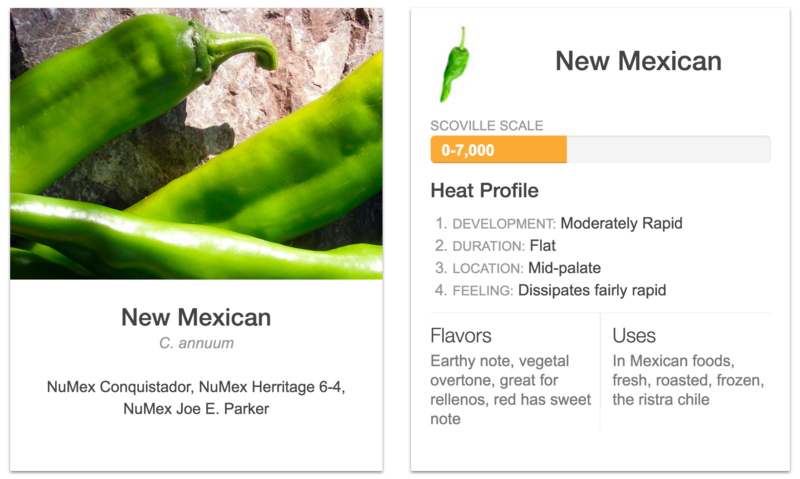 Paul Bosland is Director of the Chile Pepper Institute and Regents Professor of Horticulture at New Mexico State University– that’s in Las Cruces. Welcome to Science Friday. PAUL BOSLAND: Oh it’s my pleasure. IRA FLATOW: I’m almost afraid to ask this test I’m going to be taking with you, but when you go into the supermarket, you go in with a whole different attitude than most people about chili peppers. Because you know there are all different varieties of chili peppers, but I understand there are five main species. Right? PAUL BOSLAND: Correct. There’s Capsicum annuum which is the most common one. That’s the bell pepper or the jalapenos, or serrano that you see. And then the Capsicum chinense, which is the habanero, becoming much more common. And that’s what the ghost pepper is and some of the super hots. And then Capsicum frutescens– most people will only know this through Tabasco, like Tabasco hot sauce is made from that. And then there’s two that people really don’t know yet in the United States. And one is Capsicum baccatum, which is the chili from South America– sometimes called aji. And this is the Peruvian or Bolivian chili. So if you go to a Peruvian or Bolivian restaurant, you’d have those chilies seizing the dish. And then the last one is called Capsicum pubescens, or ruqutu, luqutu. And it’s very, very different and very, very rare to find in the supermarkets in the United States right now. But if you’re in Peru and you were to get a stuffed pepper, it would probably be the ruqutu. And a lot of people will eat that thinking it’s a bell pepper, and then boy, are they surprised when the heat kicks in. IRA FLATOW: I can imagine. 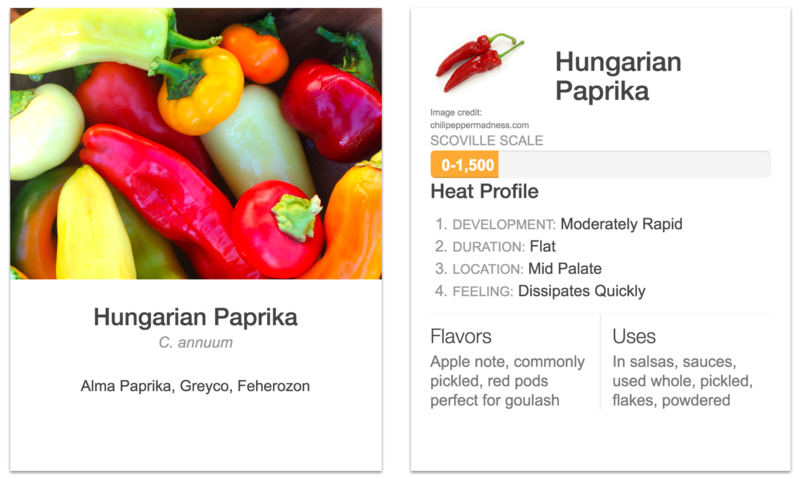 I’m surprised– not being a chili eater, a chili expert like you– are that people can really tell the difference between the different peppers there. PAUL BOSLAND: Oh, yeah. 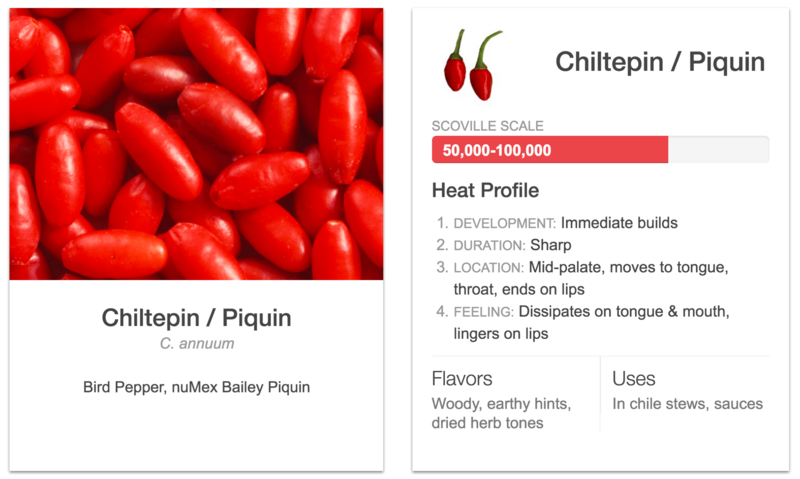 When you look at what I’ve described as a heat profile, there’s characteristics to chilies. And I tell people if you begin to become conscious of these characteristics, you will then know what chili’s in the salsa or in the dish. And it really makes eating them a little more enjoyable. But I always want to kind of tell people that chili heat is like salt– you can always put too much salt in a dish and ruin it, and you can always make a dish too hot and ruin it. IRA FLATOW: Now, I know that you’re a bit of a wild chili hunter. 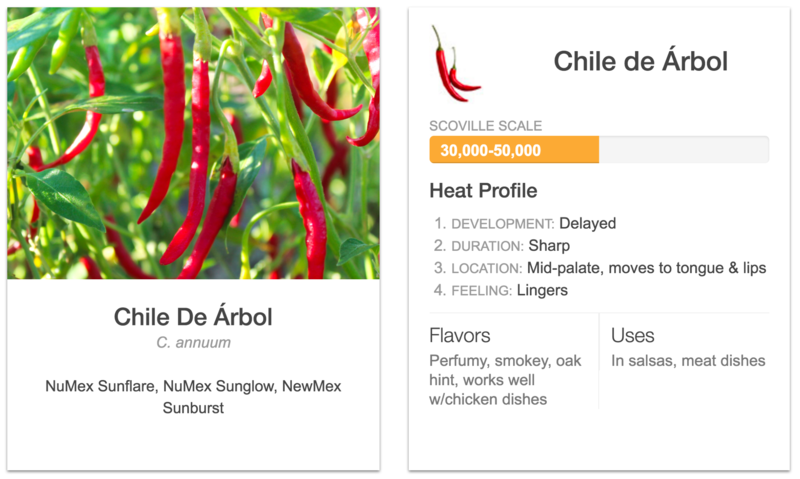 There are even more chili species out there that haven’t been cultivated. Correct? PAUL BOSLAND: Correct. Correct. We’ve only cultivated five, and we know of at least 34 more out there in nature. IRA FLATOW: Could there be others we haven’t discovered yet? PAUL BOSLAND: Yes, there are. People that study the taxonomy of Chile say they think they’ve got three more kind of on the horizon that they’ll be announcing that they’ve discovered. IRA FLATOW: And I’ve always heard that the seeds and the veins is where the real heat is located. PAUL BOSLAND: Now, that is a myth. It is the veins. It’s the cross wall of the chili that has the heat. The seeds have no heat. But being very close to those cross walls and the veins, one would associate that with the heat. But the walls of a chili are not hot. And we always have a little joke here. We take someone to our teaching garden where we have 150 different varieties of chilies. And I’ll take a jalapeno and eat a piece of the wall and then give somebody the piece of the vein. Their mouth will get on fire and I’ll look like oh, it’s not bothering me a bit. But it’s just a little breeder’s joke we say. IRA FLATOW: Jokes not on you though. IRA FLATOW: Let’s go to the phones. Dale in Evanston, Illinois, welcome to Science Friday. Hi Dale. Dale, you there? Oh, we lost Dale. Well, let’s go to Brooklyn. Hey, Joe in Brooklyn. Welcome to Science Friday. IRA FLATOW: My old hometown. Hi, welcome. JOE: Hello. So I had a question kind of going back to the last person. When I eat hot peppers, I get the hiccups. But when I drink a hot cup of coffee I don’t. So I’m just wondering how those two would be related– the receptors for the capsaicin and the hiccuping. IRA FLATOW: Paul, do you have an answer for that? PAUL BOSLAND: That’s a common phenomenon with a lot of individuals– getting the hiccups. And it’s just a different kind of reaction. And sometimes I find that if people eat green jalapenos or green chili, they get the hiccups. But if they eat the red, they don’t. So sometimes it’s the type of chili. IRA FLATOW: Great answer. Let’s go back to the phones. To Zach in Osage, Iowa. Hi, Zach. ZACH: Hi. Thanks for having me. I love hot foods, actually, so this whole segment’s making make my mouth water. 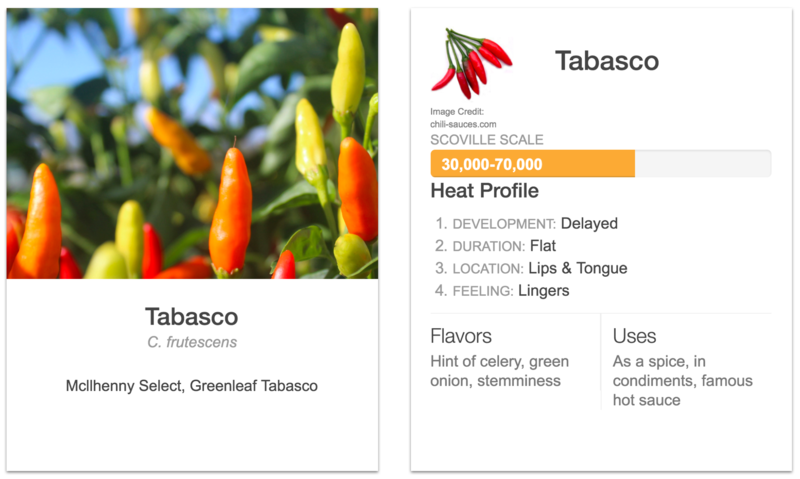 My question actually sort of goes back to developing stage for chilies. When my mom was pregnant with me she ate hot foods like it was her day job. And now, I’m the person in my family who eats the hottest foods pretty regularly. And I was curious if there’s any science or sort of facts like a hereditary desire for spicy food or if that’s bogus or what the deal could be there. IRA FLATOW: Your mom always loved them, huh? She still loves them? ZACH: She doesn’t like hot foods as much anymore, no. IRA FLATOW: OK. Paul, what do you say? PAUL BOSLAND: As people age, we do change. And we know from science that our taste buds kind of become less sensitive. And so we don’t taste as many flavors. And so usually as we get older, we do like hotter food because we want that little more spice. But everybody’s genetically different. And in my career now I’ve met three people that have no heat receptors in their mouth, and they can eat the hottest chili and taste like a bell pepper to them. IRA FLATOW: OK. Now let’s get to the part where I have to actually bite a couple of chili peppers. Here right in front of me, you have a taste test to help refine my heat palate. You’re going to take me through this test here. I have a Serrano and a Thai Birdseye chili right here in front of me. PAUL BOSLAND: The first thing– don’t take a big bite, because we want you to be able to speak at the end of this. So just take a little nibble. But what you’re going to look for is first, how fast the heat comes on. And with the Thai chili, it should be almost instantaneous. And then you’re going to notice a very interesting thing about that heat is that the heat feels like pin sticking you. And then it’s going to be the tip of your tongue and the heat shouldn’t last very long. IRA FLATOW: The Thai. Whoa. That hit right at the tip of my tongue. PAUL BOSLAND: That may not have been a small bite. PAUL BOSLAND: Science has been proven. IRA FLATOW: Why was that such a searing sharp pain? And as you say, it’s really concentrated on one part of my tongue. PAUL BOSLAND: Right. We know that we’ve discovered at least 24 capsaicinoids, with capsaicin usually being the most prominent in the capsicum annuum. And so each one of those capsaicinoids has a different effect in our mouth when we consume chilies. And so by knowing which capsaicinoids are in which chili, you can then tell which chill you’re eating. 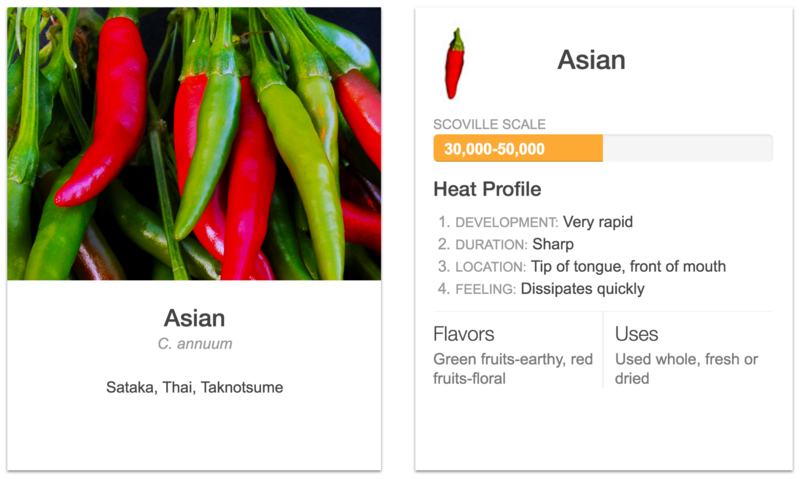 And so one can assume like with Asian chilies, you’re going to have that sharp heat. And that was an interesting story. When I first came here, we tried to export red chili to Asia. And they told us we didn’t have good quality. And we didn’t understand what they meant because we could measure the color– it was good. 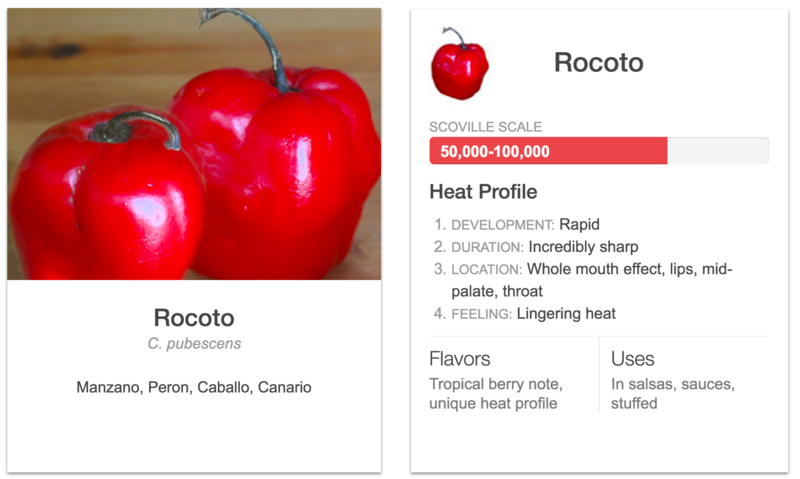 We could measure the heat level in Scoville heat units and knew that. But they said you didn’t have good quality. And then a few years later we realized Asian chilies had this sharp heat. And so we looked at our chilies we were growing, found one that had the sharp heat, and asked them to try it out. And they said, oh yes, yes, yes. That’s very good. And so now we actually ship thousands of pounds of red chili powder to Korea to make kimchi or Japan to spice up noodles. IRA FLATOW: All right. Now, I’m almost afraid to take the next one. Just so I can speak, while I can speak, let me remind you that this is Science Friday from PRI– Public Radio International. Talking with Paul Bosland here. I’m sorry, Paul. PAUL BOSLAND: I was just going to say on the Serrano it’s going to be a little slower. But the heat will be what we would consider rapid, but not as fast as the Asian. And this heat’s going to be flat. It’s going to feel like someone painted the heat in your mouth instead of pins sticking you. Again, it’ll be the front of the mouth. IRA FLATOW: Oh, yeah. Ah. IRA FLATOW: It’s sneaking up. PAUL BOSLAND: –it’s going to take a little longer to dissipate now. You’re going to have to have that milk a little sooner than later. IRA FLATOW: Believe me, I’m going for it. PAUL BOSLAND: Because the heat there lingers. And one of the chilies that really has a lingering heat is habaneros. People will say well, it’s in the back of their throat and it can actually linger for hours on some individuals. IRA FLATOW: Well, is there a rule of thumb? Are red chillies hotter than green chilies or does it matter? PAUL BOSLAND: You know, that’s a very good question. And neither the color nor the size of the chili can you tell how hot it’s going to be. As we mentioned earlier, you almost have to cut them open and see how much veins are on those cross walls. The more yellow you see in there, the hotter it will be. And then also, the red chilies if they come from the same plant as the green chili, it will actually taste less hot to you, even though they have as much capsaicinoids, because the red fruits have sugars. And sugar is another way to counter the heat. So that natural sugar that’s in the red pods counters the heat, so they don’t taste quite as hot to us. IRA FLATOW: You know, I’m a gardener. I’m always looking for gardening tips. Is there a way to make your backyard chilies hotter? PAUL BOSLAND: Yes, there is. Chilies get hotter if they’re stressed. So if you’ll cut back on the water, make sure they’re maybe in the full sun where they’re getting stressed in the afternoons. They’ll always be hotter. But the flip side of that coin is that you also have less yield when you stress a plant. So if you really want hot chilies, stress them and they’ll be very, very hot. And if you don’t give them really optimum care. IRA FLATOW: As a gardener, I try to keep the squirrels out of my pots in the backyard from digging up the roots. So I planted some chilies right in the pot thinking, OK– squirrel came up to it, pulled off the chili, and as almost in spite started chewing it right in front of my face with absolutely no problem, like so is that the best you got? PAUL BOSLAND: I’m afraid, you know– well, all I can say, it might be a Mexican squirrel. But no. We actually did a study here. We planted lettuce out in a field and we put habanero powder on one set of lettuce plants and nothing on the other. And the rabbits would come in the night time and within about four or five days had eaten all the lettuce with no chili powder. But once they had eaten that, they went over and started to eat the lettuce plants that had the chili powder. So it’s kind of a choice no choice. That’s all I can tell you. IRA FLATOW: That’s enough. That explains it, Paul. Thank you very much for joining us today. IRA FLATOW: Paul Bosland, Director of the Chile Pepper Institute and Regents Professor of Horticulture at New Mexico State University in Las Cruces. 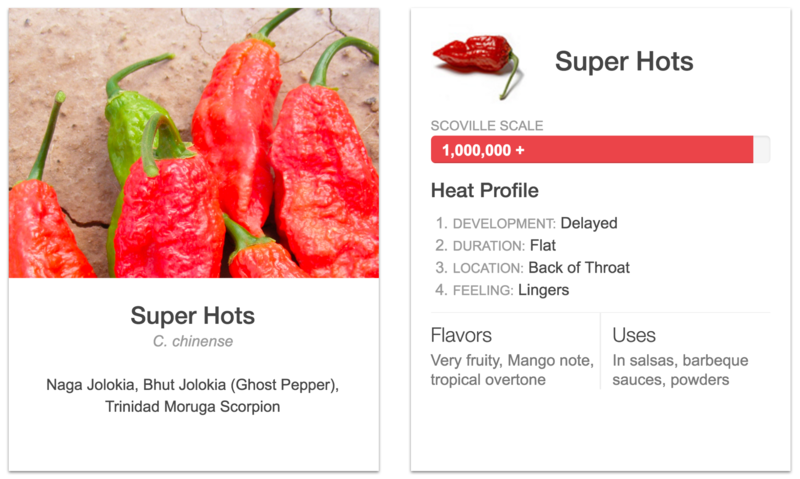 Have you heard of the Carolina Reaper– one of the hottest peppers out there? The inventor described its heap profile as a mouthful of molten lava. And you can read about it and learn lots more about chili peppers. It’s on our spotlight page at sciencefriday.com/peppers. Is there a difference between the molecules that cause the heat sensation of peppers and that caused by horseradish / wasabi? Ginger actually neutralizes the heat. Do any of your guests know why? 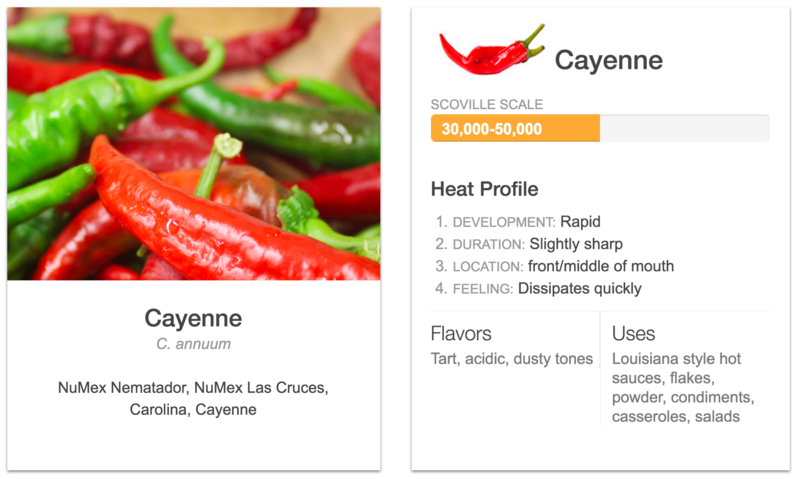 Also I have heard Cayenne is good for soft tissues etc and all other peppers are different. True?